There are times in our lives when it pays to be calm and sober. In those moments for me, I go for solid, dark, reflective colours. I'm like that most of the time though, that's probably why I'd rather wear dark, somber colours more often. My sober took over and the cloak of colour was thrown away. In an alternate universe, I'd say this deep, dark colour is also adventurous....but I'm not so sure. Anyway, CND Plum Paisly to the rescue. 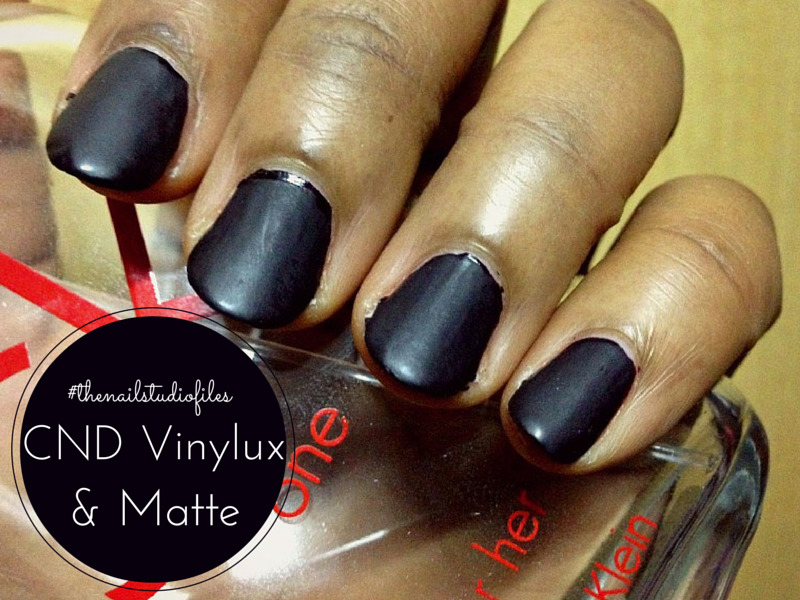 I was tired of shine and asked for a matte polish. 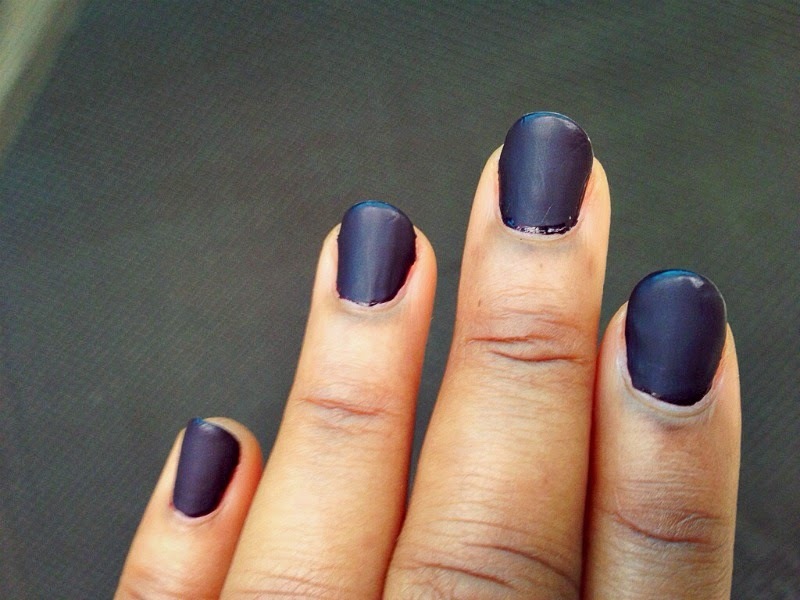 Alas, there is a matte topcoat which apparently can turn ANY polish matte so I said "fine, let's do this"
Rewind: My left forefinger was breaking in the middle so I was told that it could be wrapped to prevent further breakage. Happy is an understatement. 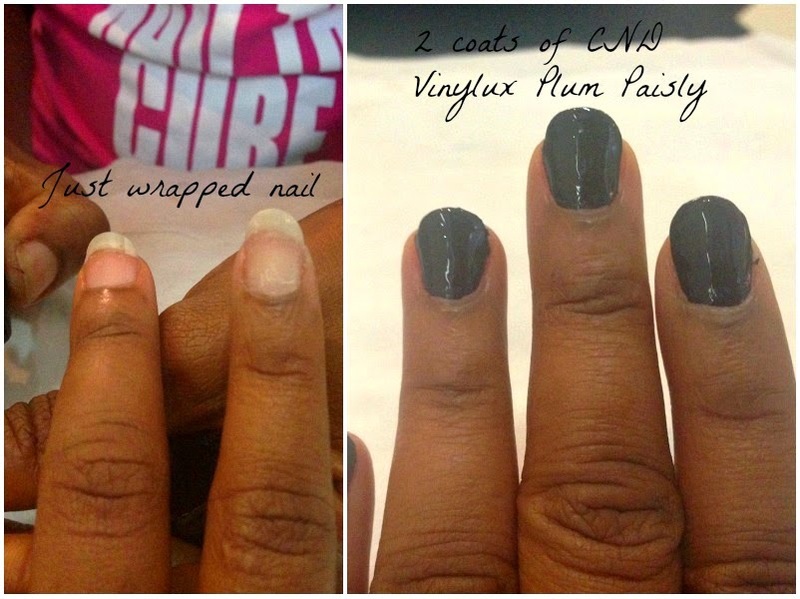 I was really thrilled that the days of broken nails were finally over and proceeded to get a silk wrap done. Fastforward: It's Tuesday morning and I'm sitting in a Client's office waiting for a meeting. I'm not wearing a watch but I randomly look at my hand and recoil in horror......My middle fingernail is broken *loud sob*. 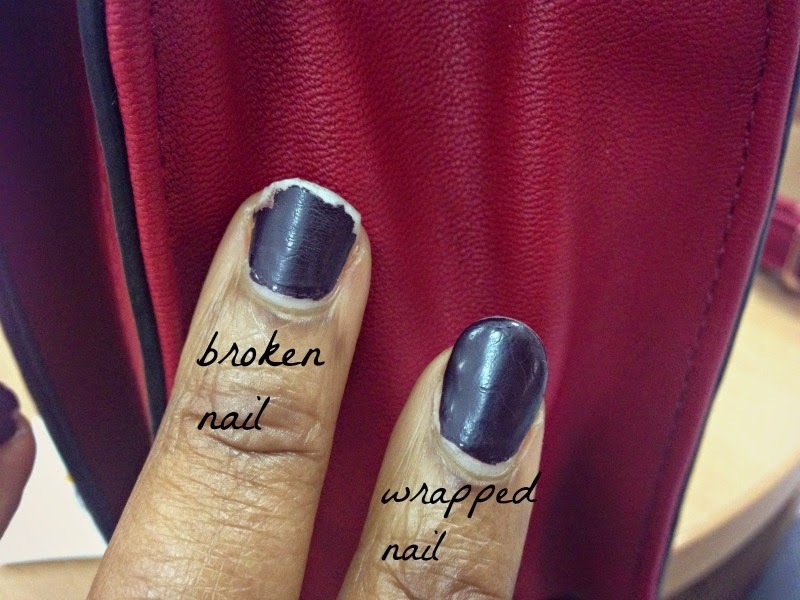 That's why I say that one never really knows - I wrapped one finger to prevent breakage and the other nail, right next to it, breaks off for no apparent reason. 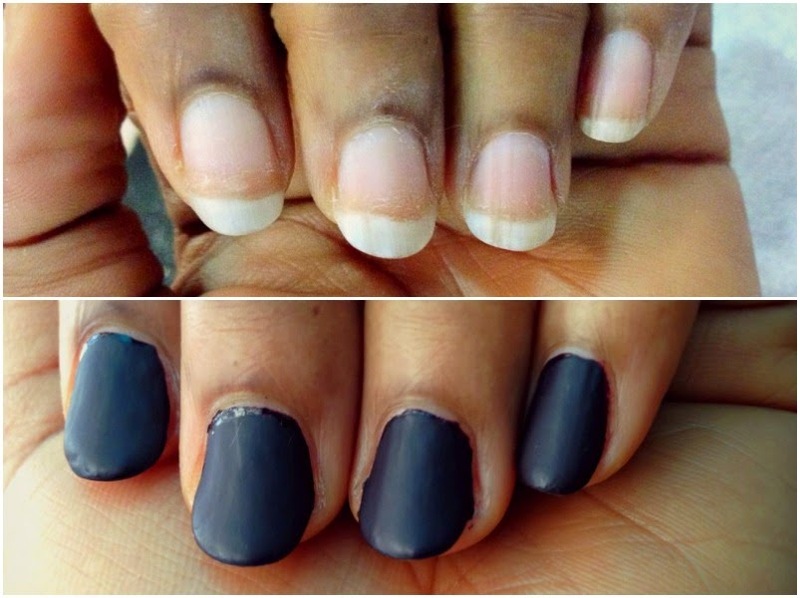 Did I mention that through it all, I actually like the matte nails? They aren't as scratch resistant & long lasting as I'd been led to believe but they are lovely to touch and look at.